It may all seem glum now that the festivities have hit a temporary pause, but there is reason to rejoice—here’s why! Khakras: After the heavy indulgence of the Ganpati festival, it is time to give your metabolism a little break. Light Khakras made using whole wheat flour and flavors that enhance digestion make an excellent choice. Eat them by themselves, dip them in flavored yogurts, or top with fruit and vegetable salsas for a satisfying and guilt-free snack. Makhana: Makhana or Foxtail nuts are an excellent source of minerals, calcium, fibre and trace minerals while being very moreish thanks to their popcorn-like quality. Roast these lightly with black salt and pepper or in a simple tadka; or just pop them in the microwave for a minute to crisp them up and voila, you have a fun snack ready! Licorice: Jeshthimadh or licorice is a root that is known for its medicinal qualities in ancient medicine across all cultures. As its aniseed/fennel-like flavor suggests, licorice aids digestion; in fact, Ayurveda considers it a great cure for acidity. It also has anti-inflammatory properties, so it’s great for when you have a cold or minor joint pain. Chew on a small piece after meals or boil it in milk with a little sugar, nutmeg and turmeric for a night of peaceful slumber! Golden Apples: Golden apples are September’s favorite bounty; crisp and juicy with just the right balance of sweet and a touch of sour, these are great snacks to carry around but also make for a lovely salad addition with raisins and a little chaat masala. 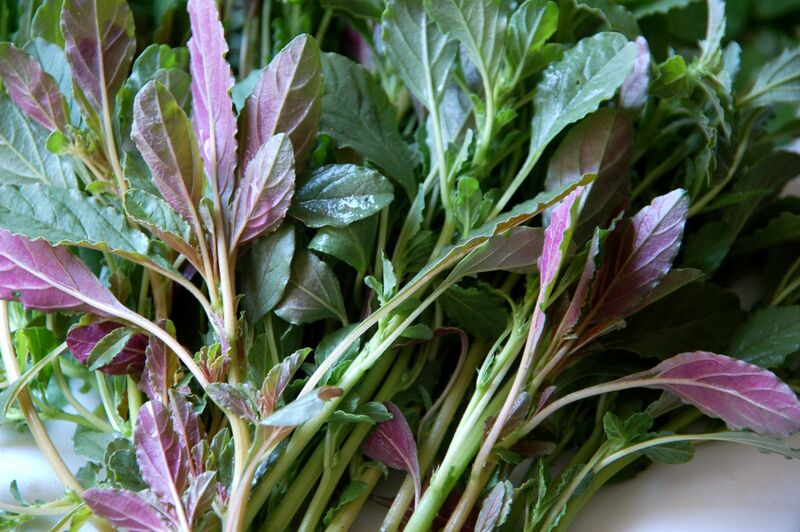 Amaranth: The gorgeous purple-pink Amaranth leaves are back in season. These are not only rich in iron and fibre but also aid the absorption of other nutrients in our body. Simply stir-fry them with lots of garlic and chili to make a subzi or add tender ones to salads in place of lettuce. Wilted Amaranth leaves also make a mean raita!